The ink is actually carried in the groves, not the raised surface. This is the same process used to print currency. 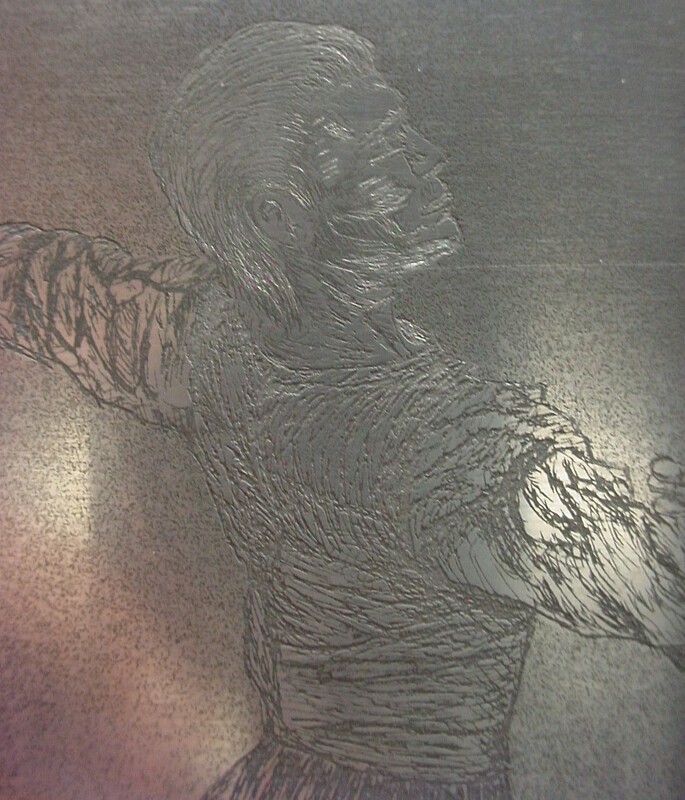 This is called intaglio printing. It also requires a great deal of pressure for the paper to pick up the ink. 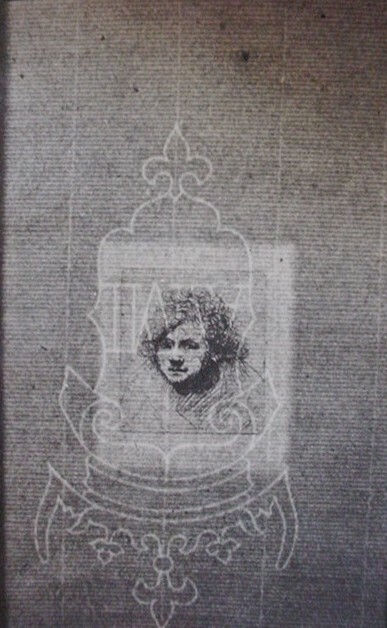 Because of this a plate mark is usually visible as shown in the 17th century self-portrait engraving of Rembrandt below. It should be noted that the artist’s signature may also be engraved in the plate, and frequently is. Rembrandt’s signature is faintly visible in the upper left hand corner of the print shown above. In the 20th century, artist’s additionally signed prints by hand, usually in pencil. Pencil-signed prints will have more value than prints where the signature has been printed from the plate. Around Rembrandt’s time, a color engraving process called Aquatint was developed by the Dutch. The process becomes commonly used in England by the 1770s. Aquatint will have the same characteristic fine lines and plate mark as an engraving, making it fairly easy to identify. The main difference is the use of color. If you look at the next picture below, you will see a series of vertical and horizontal lines called “chain marks”, an indication of hand-made paper. John Gamble received a patent for machine-made paper in 1801. Since machine-made paper does not have chain marks, you can use this date to help determine if an early print is real or a reproduction. Some of Rembrandt’s metal plates are still being used, but the paper used is modern. They are considered posthumous prints and value significantly less than original prints produced by Rembrandt himself, even though the subjects may be identical. The condition of a print is also important. 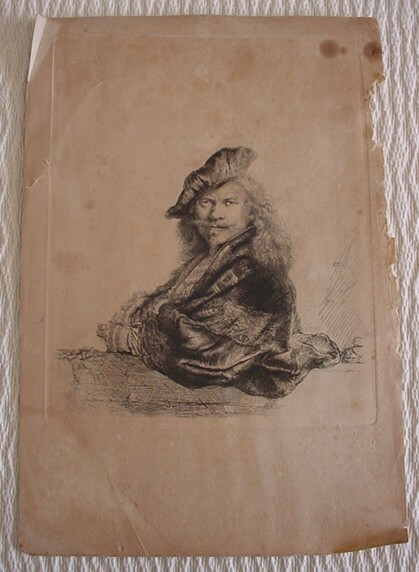 Note that the Rembrandt print has several condition issues. It has dark spots resulting from mold along with some tears creasing, all of which take away from value. The location of the damage is also important. Damage at the edges devalues less than damage in the main area. Most prints are framed, matted, and under glass, which often hides imperfections. If you are considering purchasing an expensive print, it is a good idea to view the print “out-of-frame” before you buy it.